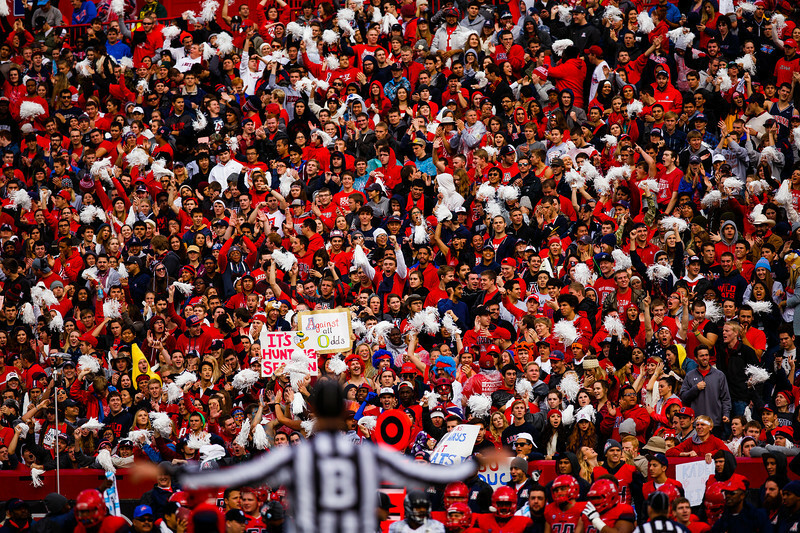 The Zona Zoo reacts in celebration as the Wildcats extend their lead over the Ducks during the first half. The No. 5 Oregon Ducks play the Arizona Wildcats at Arizona Stadium in Tucson, Ariz. on Nov. 23, 2013.